Industrial Disease is a term used to describe Illness or Injury caused by work. The term maybe suggests that it only covers fatal injuries or sickness caused in ‘industrial’ environments but it relates to all cases no matter how big or small in every work place. Every day workers come in contact with elements at work that have the potential to be harmful such as fumes, waste, chemicals, noise, vibration , psychical or emotional stress. Your employer legally has to protect you from these. No matter your job you could be at risk and it is in your best interest to know how to avoid illness or injury. White collar workers such as office staff may appear to be the safest job around but there are still aspects that could in time effect your health. Data in-putters for example can suffer from Repetitive Strain Injury, particularly if they constantly repeat the same process. RSI as it is commonly know as effects your wrists, hands, neck and shoulders by over repetition of the same tasks. The muscles and tendons are damaged and make movement painful. It is usually brought on by and increase in speed, overtime or pressure applied. Lots of occupations with this repetitive nature could be at risk such as machine operators, production line workers, carpenters and manual workers. If you feel you have these symptoms and your employer is not assessing any changes you could make an RSI claim. 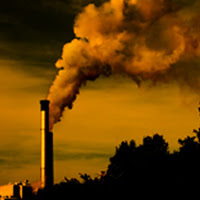 There are Industrial Diseases that have much more serious ramifications. One that is causing a lot of concern at the moment is Asbestosis. This illness has been fatal to thousands of people who have been exposed to asbestos. The material it’s self has been banned since the 90s but continues to raise discussion and take lives. Mesothelioma and Asbestos related illnesses can take years to show symptoms so new suffers are diagnosed every day from exposure going back years and this will continue for some time to come. Asbestos may have been banned as a building material over 10 years ago but it is still present in older buildings. It is generally understood that the substance is only dangerous once broken up and it’s fibers are made air bound and inhaled. In many cases this was reserved for people working directly with asbestos but there are growing cases of sufferers who have simply worked in a building containing it. An elderly cleaner was diagnosed and made an asbestosis claim after working in schools that had asbestos present. I haven’t wrote this article to make everyone fearful of their job just to show that there are dangers and your employers should have procedures and protection in place to protect to avoid you damaging your health.